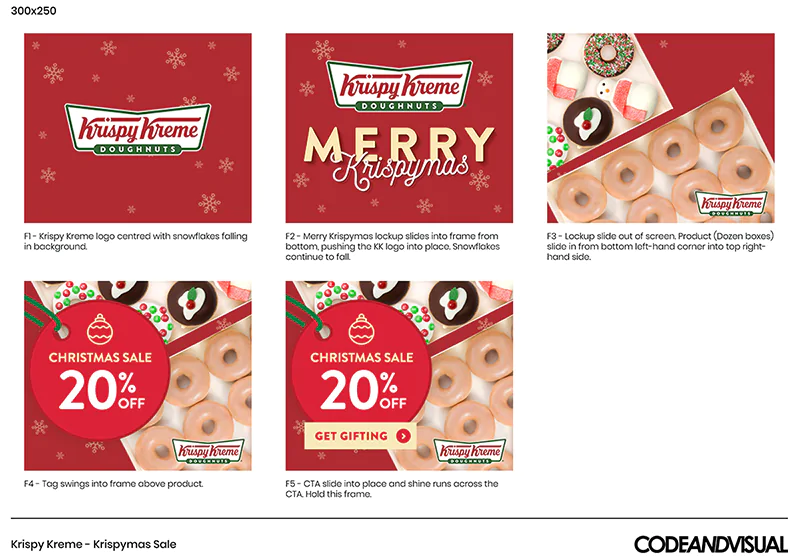 When Krispy Kreme needed to deliver a fresh batch of banners for their Krispymas campaign they turned to Code and Visual. We designed and built these HTML5 Banners, adding a little bit of seasonal sparkle to the brand messaging. It was a delight to partner with this well known brand and allowed us to bring our extensive experience in delivering high quality animated banners to another happy client.